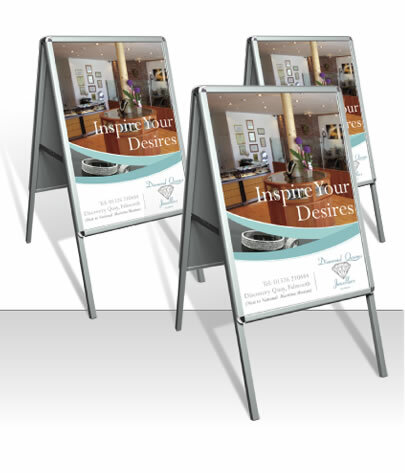 The A Master is an easy to use poster display unit on a simple but elegant A frame. It is available in a range of sizes with a classy silver anodised frame. Ideal for where you need to change your message regularly to promote special events or offers. The snap frame is so easy to operate you can change your message in seconds. back panels and PVC poster cover sheets are all recyclable.